Document Notes: A record providing interesting insight to relationship between military and civil authority. 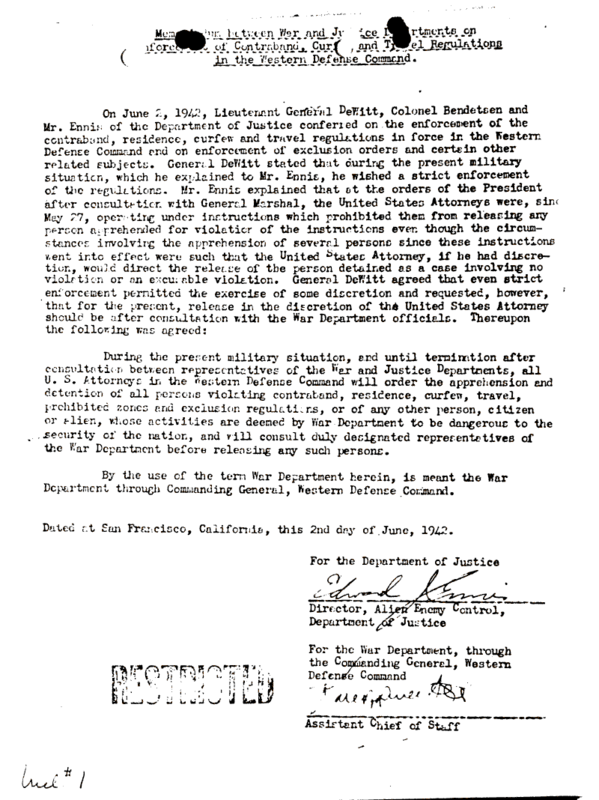 Ennis in the 1980's participated in perpetrating a fraud by claiming that the Government had been involved in a conspiricy to keep information from the courts during the Korematsu case hearing. Good example how the FBI kept abreast of developments outside its own operation.